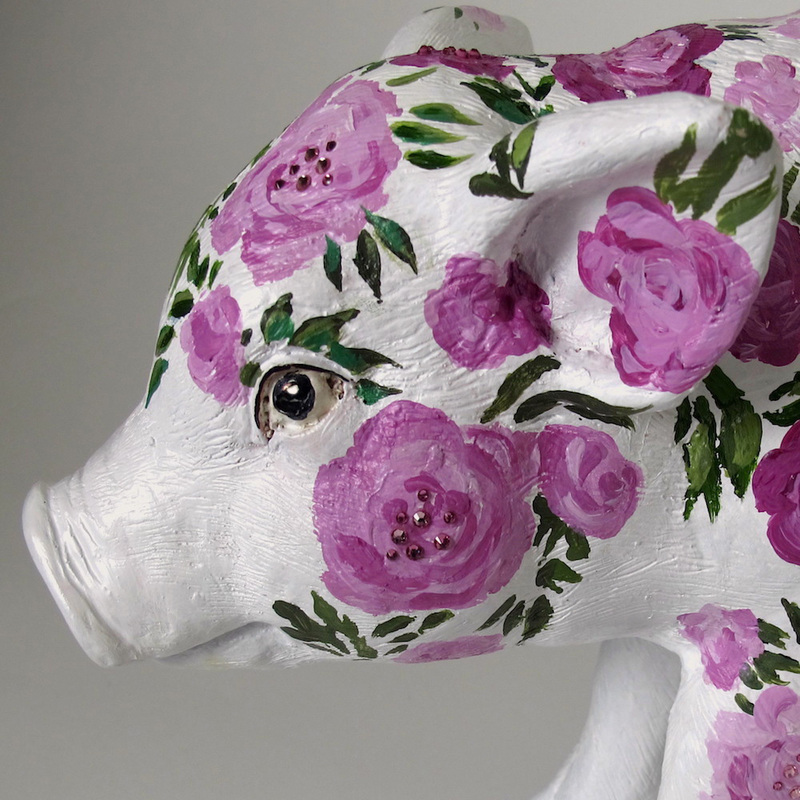 In honour of the imminent Chinese New Year, Year of the Pig, from 9-24 February the galleries and retail spaces of pretty Parnell will host an enchanting exhibition of pig-themed art created by artists and celebrities. The pieces will later be auctioned to raise money for the Starship National Air Ambulance Service, an organisation that, in 2018, flew more than 160 retrieval flights ferrying critically ill kids to the hospital from across the country. Starship Foundation chief executive Aisha Daji Punga says that bidding on the pigs will help “ensure that all our children have access to world-class healthcare, irrespective of where they live”. Last year’s Year of the Dog auction raised more than $27,000, and all involved hope to top that in 2019. Parnell Business Association General Manager Cheryl Adamson reveals some of the star names behind the creations of this year’s farmyard favourites to be TV presenter Erin Simpson and renowned Samoan-New Zealand artist Fatu Feu’u. Another art piece comes courtesy of Clare Grove. The effervescent author and illustrator almost glides along Jervois Road to greet Verve warmly with a hug and a cheek-kiss, every bit as fabulous as the Swarovski crystal-adorned artwork she’s crafted for the auction. Clare previously had prominent roles with international fashion and beauty brands and continues to be an online influencer. She is well-known for her My Mummy Loves blog (mymummyloves.com), and children’s fashion-themed picture books that have been hailed by the likes of British Vogue. Clare also works as a stylist. 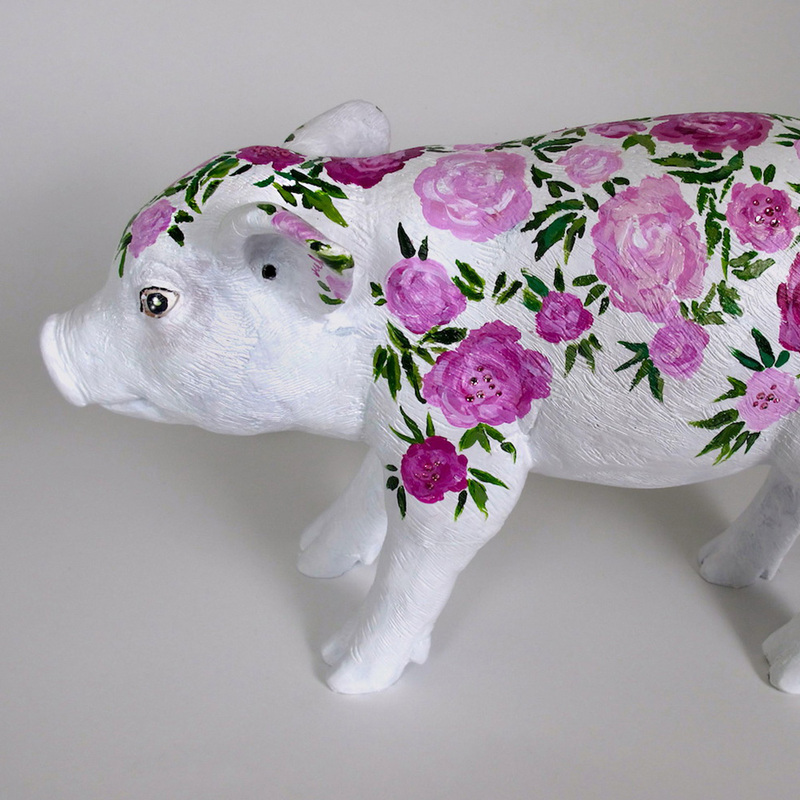 Clare’s pig is christened ‘Peony Pig’, and, sparkling crystals aside, it’s also adored with stunning painted pink blooms inspired by the Parnell Rose Gardens. It’s the first time that Clare has turned her talents to decorating a sculpture, though she reveals having “mucked around with different mediums” during her art degree in the UK, from where she hails. As too are her kids. Have they picked up any of mum’s creative tendencies? 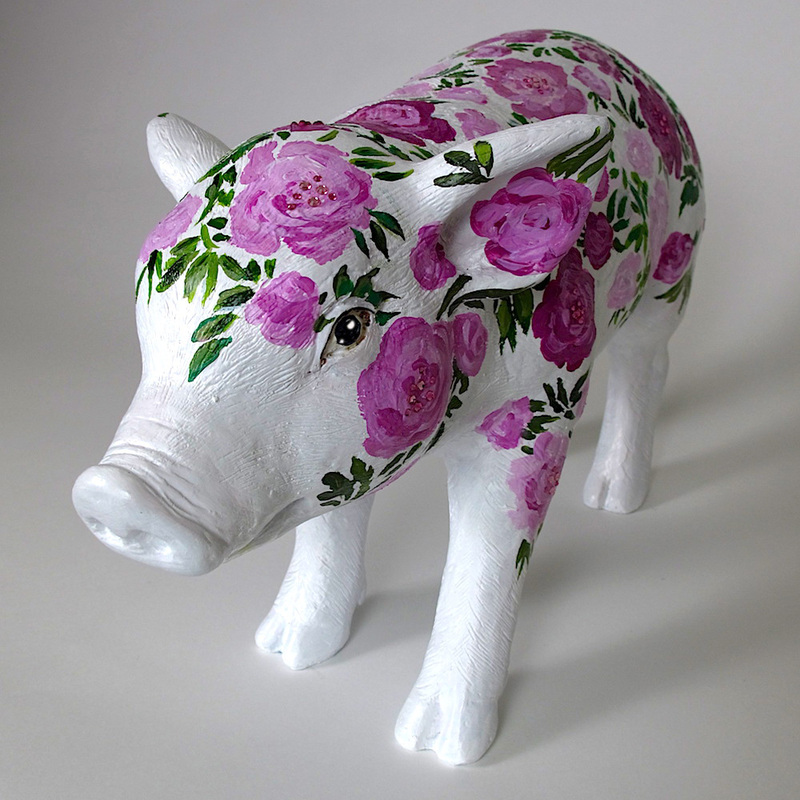 The final live auction of the prized pigs will take place on the evening of 28 February at Jonathan Grant Galleries.